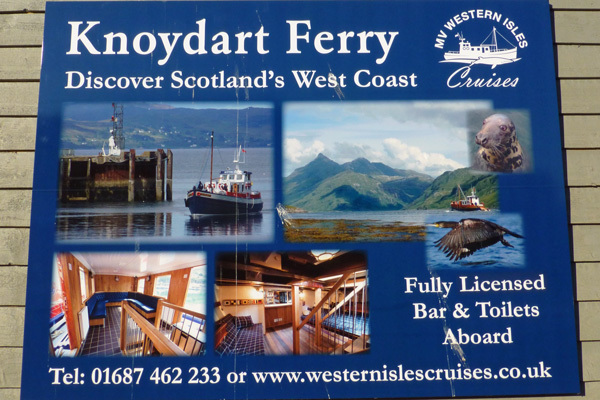 Wildlife cruises and ferry crossings between Mallaig, Inverie and Tarbert. The Western Isles is a 65 foot, traditional wooden vessel. From April to October (reduced sailings over the winter period) there are sailings Monday - Friday from Mallaig to Inverie and Tarbet. There are also daily Wildlife Cruises from 12.45pm - 1.45pm, and on weekends a second Wildlife Cruise from 2pm - 4pm.